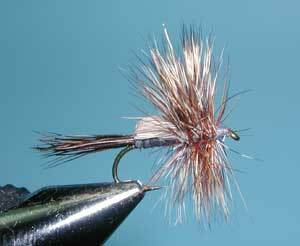 Notes: Many fly historians believe the Humpy originated during the early 1940's by California Fly Tyer, Jack Horner, in the Hat Creek area of the Northern Sierra. It was known as Horner's Deer Hair Fly. 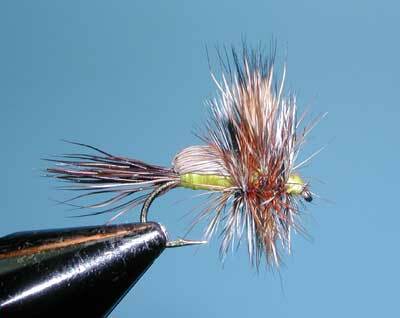 The fly utilized very bouyant deer hair which could handle the fast water situations of the Truckee River. 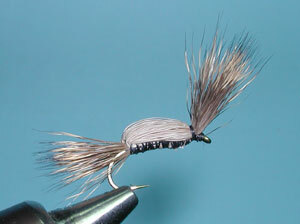 Jack fished the Truckee often with this fly and a bend in the river above Hirshdale is known as "Horner's Corner". 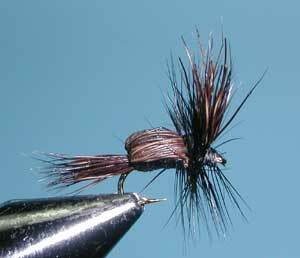 A similar fly at the time was the Canadian fly, Tom Thumb, which did not utilize a hackle or split the wing. The pattern made it's way to the Rocky Mountain region and a Yellowstone Guide, Pat Barnes, popularized this pattern by referring to it as the Goofus Bug in 1943 for the "goofy looking" fly that his customer's requested. For a period of time, the fly was referred to as the Goofus Bug in Montana or the Horner Deer Hair Fly in California. 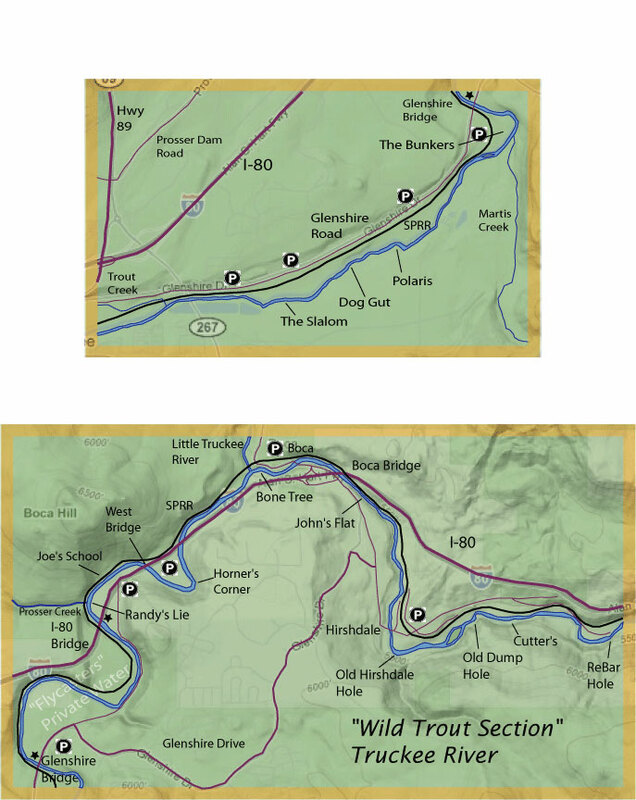 At some point within the late 1940's, the term "Humpy" was attached to the fly within the regions of Jackson Hole, Wyoming and the name stuck. 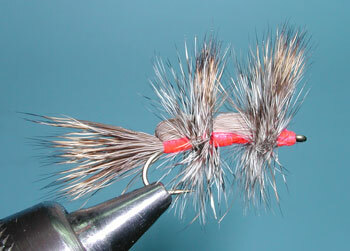 It is probably one of the most successful attractor flies created. Boots Allen, the owner of a small fly shop in Jackson Hole, is thought to have come up with the name. Due to the hollow hair, the large profile, and the way the hair is utilized, the Humpy has great floatability and can be used in most western streams. Many variations have evolved from this fly. The most popular is the Yellow Humpy. 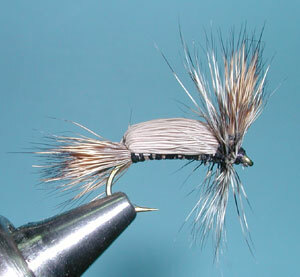 Tied in sizes 14-16, the Yellow Humpy can be used to imitate Little Yellow Sallies and small Golden Stoneflies. The basic body colors can be changed to red, green, or tan using Floss for the body material. Jack Dennis changed the body of Deer Hair to Elk Hair in the 1960's and added a Black Elk Hair tail to call the pattern an Elk Hair Humpy and the Humpy is often tied with Elk Hair today. 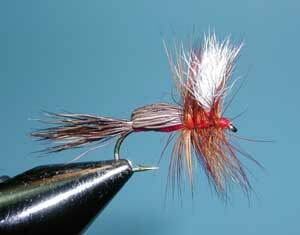 The Royal Humpy was a variation by Charlie Ridenour of Jackson Hole, Wyoming in the 1970's. It brings the visibility characteristics of the Royal Wulff and combines the Humpy's very buggy appearance. 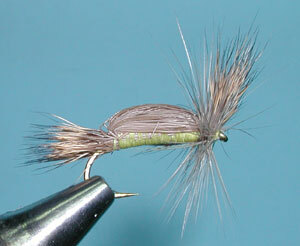 The Adams Humpy is used for certain gray mayfly hatches as well as an excellent attractor pattern. The Black Humpy was a variation developed by Ramona Bressler in Jackson Hole, WY in the 1960's and is particularly good during overcast conditions as a beetle imitation. The most recent variation is the Double Humpy which was actually a mistake at the vise by Joe Allen, the son of Boots Allen, in 1981 but ended up working so well on the stream that it became another pattern.